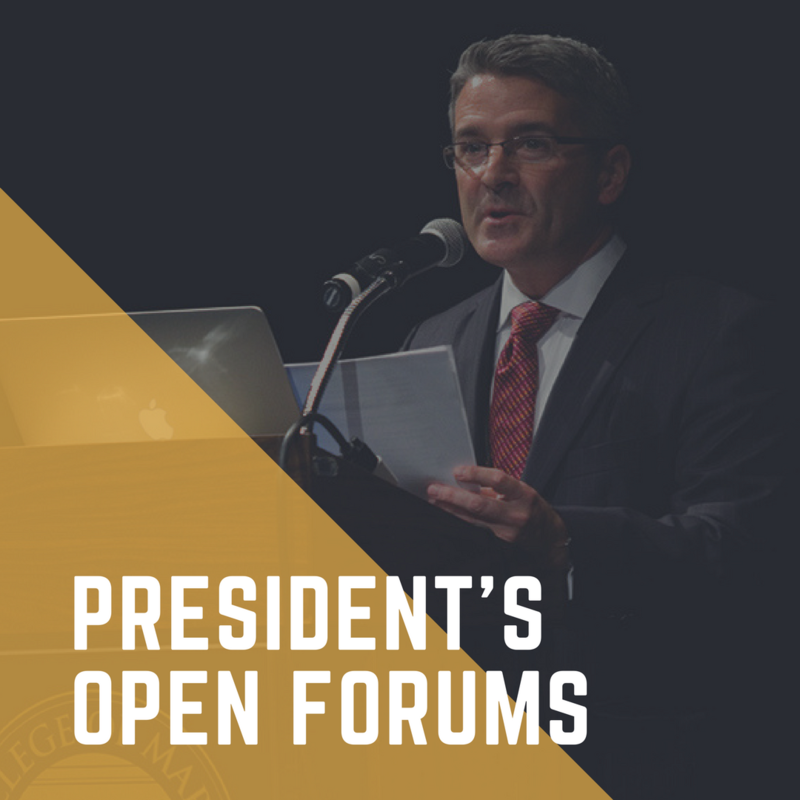 Please join me at an upcoming open forum. These meetings provide an opportunity for informal discussion about College activities, events, and other items of interest. All are welcome to attend.